John Simonett is a leading after-dinner speaker. A former schoolmaster and sportsman, he was educated at Fettes College, Edinburgh, and obtained a First Class honours degree from Bristol University, majoring in Psychology. As a sportsman, Simonett played premiership rugby for Gloucester and was a member of the team that won the John Player Cup against Leicester at Twickenham in 1978. He also represented Gloucestershire and Scotland ‘B’, having been a regular member of the Scottish Squad in the late seventies. In 1985, John left teaching to become a professional corporate entertainer and after-dinner speaker. As a speaker, John’s main objective is to deliver speeches that are businesslike – yet funny and entertaining! John is able to work to a client’s brief tailoring his presentation to suit any event. John has an amazing trained memory and uses this to telling effect. He studies supplied background information for each event and has developed a reputation for learning delegate’s names, faces and facts which he beautifully weaves into his presentation! 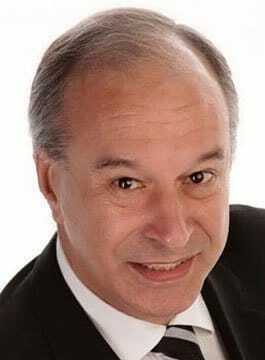 John Simonett has appeared at many corporate events, both in the U.K. and abroad. He has also appeared on television, both on BBC and ITV. John can also present an entertaining conference keynote speech entitled “Restless Curiosity”. This presentation covers creativity, lateral thinking and innovation, and encourages audiences to “think differently” to achieve their goals. It’s a perfect “energiser” in the graveyard slot, or to open or close a conference on a high. Equally at home with an audience of 500 – or at a board meeting for twelve, John Simonett’s charismatic personality and presence, together with his unique combination of humour and memory – tailored to a client’s specific brief – provides an original and refreshingly different alternative to the traditional after-dinner speaker. He has also regularly acted as conference host or facilitator, and has run break-out workshop sessions on staff motivation, mind mapping, presentation skills, memory techniques and goal setting. We are still bemused by your impeccable performance at our European conference dinner. A great many compliments were passed, on two counts. Firstly the choice of entertainment, and secondly, your consummate skill and personality in crossing the national and language barriers.